Marriages are made in heaven but celebrated on earth. Your wedding is the biggest day of your life, and surely no stone must be left unturned to make it an extravagant affair. Every couple and their families want it to be perfect in all respects. Every little thing matters, be it the ambience, food, decorations, walk down the aisle, and candid photos are just some aspects of the wedding day. Your wedding day should be as special and romantic as possible. Planning a wedding is a huge responsibility and thus it is better to get a wedding planner to fix the budget and zero in on what elements you would like to be included. Mood-setting lighting can completely transform the entire look of any wedding venue. Make your ceremony readings and personal vows all extra and brilliantly romantic as the ceremony is a symbolic start of celebration of a lifetime. Unique ideas around welcoming the guests, especially the groom family and bride in a special way, varmala ceremony, romantic dance by the couple, and other such things can make the event memorable. Scentscaping weddings are a big trend currently in the wedding market. In this, luxury brands create gorgeous and overpowering scents to become your fragrance backdrop for the big day. You can also choose to use bouquets or lavender centerpieces to evoke emotion with a powerful sense of smell. Music, the most wonderful thing in this world, is also known as the greatest expression of love and there is nothing more romantic than this. Also, make sure to add in some latest and trendy party tunes as most of your guests would want to get up and dance. Ask your partner about the music that influenced him or her when they were growing up and try to incorporate that into your wedding music album. Food is an important thing in a marriage. In fact, a well-fed wedding is a successful wedding. Just like music, food is a universal language of love. 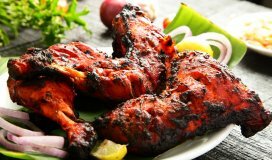 Choose lip-smacking dishes, street food and snacks from various regions of India and abroad too to impress the guests. Make sure the presentation of food is innovative and appealing. Pay attention to healthy quotient of the food served as people these days are very conscious about what they eat. Gone are the days of food with clarified butter (ghee) floating on it. 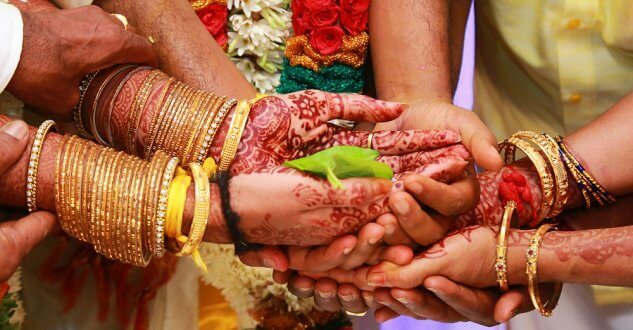 In India, a wedding involves the families of both the bride and groom. Presently, medieval-Indian society, weddings are seen as status symbols. Indians have known to go the extra mile when it comes to colours, drama and glamour of the weddings. Over the past few decades, there has been a rising demand to have wedding functions in amazing and faraway romantic wedding venues in India. 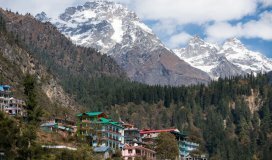 India is a land blessed by diverse culture and unique nature, has its own share of dreamy beaches, luxurious hotels, grand palaces, forts and forest retreats. There are varied options for a romantic wedding in India that are high on elegance and opulence that couples even from the farthest corner of the globe are coming here in search of the perfect romantic venues. If you love the serenity and beauty of the sea, The Leela Kovalam should be your first bet. It is a cliff-top wedding venue overlooking the majestic Arabian Sea. Located strategically amidst beautiful surroundings in Kerela, you can host a dazzling wedding here. Various couples also choose this venue for honeymoon. Lovely and warm sea breeze will make the wedding all the more enjoyable. 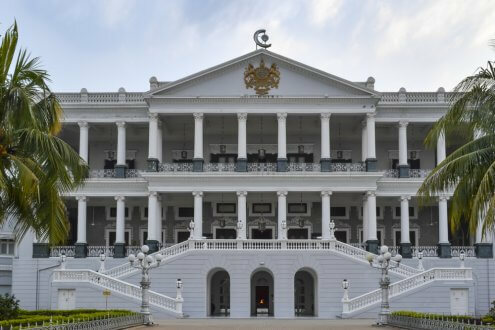 If you want to bring alive the glorious era of Nizams, you can choose to host the wedding at the magnificent Taj Falaknuma Palace in Hyderabad. This royal palace has amazing architecture and royal interiors that will surely make the guests overwhelmed. 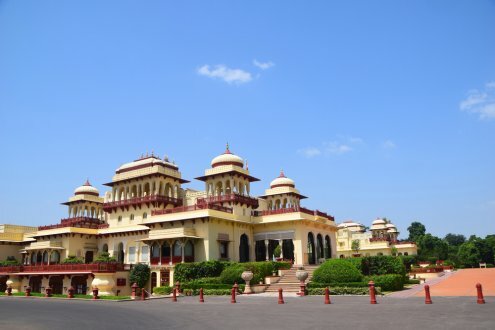 The Rambagh Palace in Jaipur is among the top romantic wedding venues. 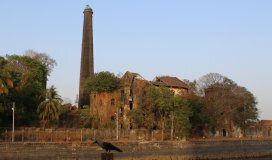 It is a popular destination wedding venue since the time of Yash Chopra’s (late) romantic film ‘Lamhe’, as this movie was shot here. Even some Hollywood celebrity couples got married here. One thing that will never go out of style is the beachfront wedding. 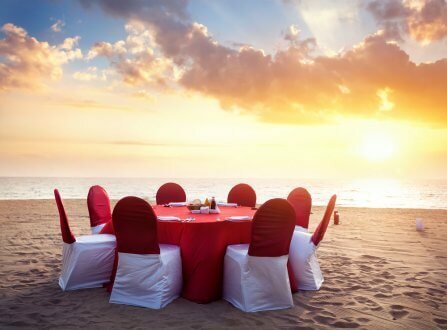 Be it the Park Hyatt Resort and Spa is a perfect beachfront wedding venue in India that features a majestic private beach, grand ballrooms, and gleaming lagoons. Located on the Arossim Beach, this breathtaking resort looks all the more beautiful surrounded by palm trees and the plentiful gardens. If you are looking for an opulent wedding venue in India, Neemrana fort must be your pick. 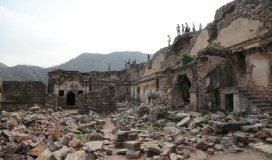 This fort is certainly majestic and exudes magnificence and ancient royal heritage sites in the country. Since it takes just 2.5 hours from Delhi to reach this venue, it is quite convenient for Delhities. Those planning a fairytale wedding must surely check out this wedding venue highlighting wonderful gazebos and beautiful rooftop gardens. 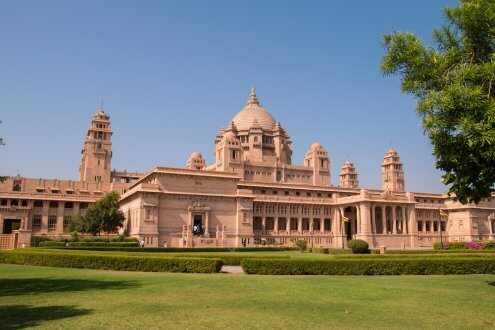 Umaid Bhawan is a popular sandstone palace in the state of Rajasthan. It is the ultimate romantic wedding destination featuring amazing architectural styles that will blow your mind away. You will surely like its well-maintained lush gardens and Rajasthani touch. The spacious halls of the palace are decorated in a classy manner. A museum, a private residence of the royalty and a plush hotel from Taj Group are the main parts of this property. The Taj Group has several wonderful wedding venues in India including this one. Now that you are aware of the top romantic wedding venues in India, get more details about them like cost and other facilities. Get a quote from them and what all they will offer before a booking them!